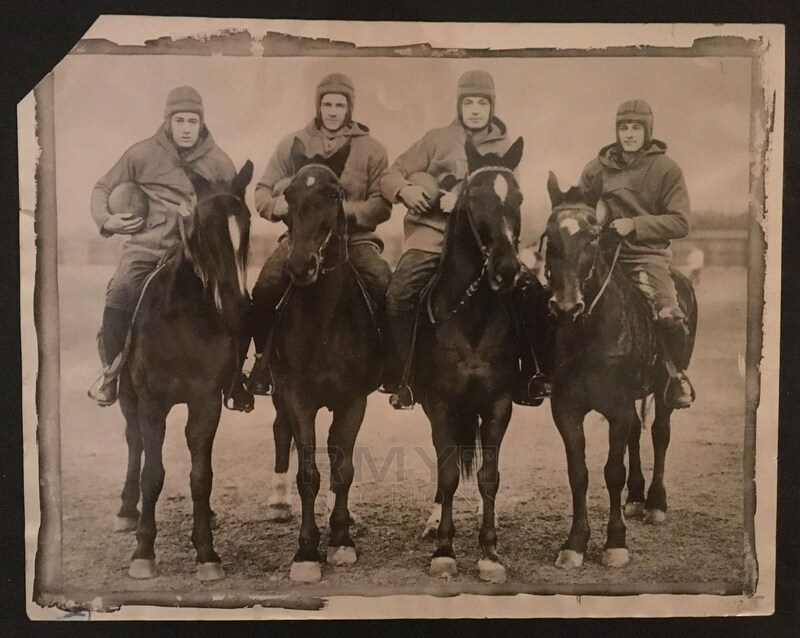 The most storied and iconic quartet of athletes in 20th century America are the Four Horsemen of Notre Dame from 1924. Their name comes from the fact that they brought destruction and doom to their opposition just like the mythical "Four Horsemen of the Apocalypse" prophesied in the Bible. Their names were Harry Stuhldreher, Don Miller, Elmer Layden and Jim Crowley, but those are just details. Each member of this group has been enshrined in the College Football Hall of Fame and are among the most widely collected and sought after in all of Athletics! 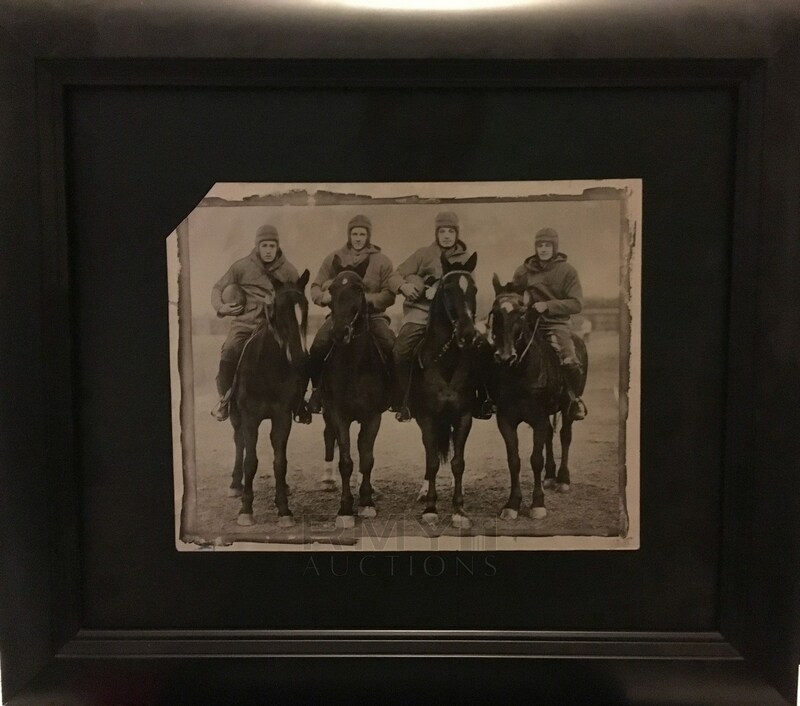 Iconic image of the Notre Dame Four Horsemen and issued by Wide World Photos with a stamp on the back. 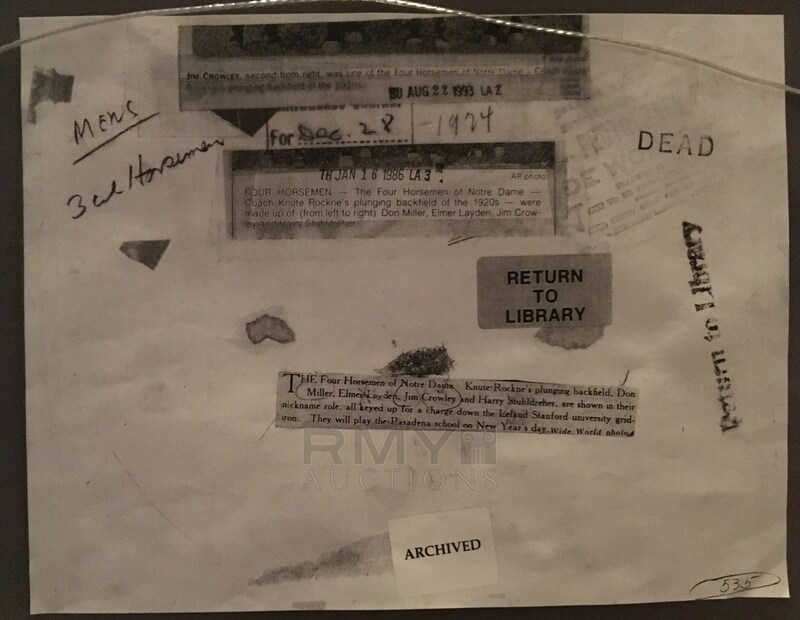 Condition is quite nice on this silver gelatin photo with a clipped upper left corner and some editorial painting from publication which could be removed. This is one of the only original examples we have seen offered before and it is a beauty! This example is large and crystal clear and comes beautifully professionally framed and ready for display. Arguably one of the most important football photographs ever taken and this is one of the finest examples that exists!